We do not throttle your connection no matter how much data you use! OpenWeb offers 3 x different ADSL packages namely Home, Premium and Business to suit every use, budget and need you can think of. On top of that, we do not throttle on ANY of our packages. Only have a Telkom Voice Line? Let's get you ADSL! Your account includes 2 x FREE @openweb email addresses backed by our world-class network. Manage every aspect of your account including usage, security, port resets and more from our incredible control panel. We offer support via email or telephone when you need it most. We have built our DSL network on the cloud offering extra redundancy. You are able to pay via credit card or debit order for your convenience. Our easy to use client panel allows clients to add their British Airways Executive Club details. 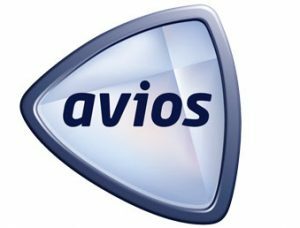 Now you can enjoy high speed internet access with OpenWeb and collect Avios with your British Airways Executive Club. Why do people love OpenWeb so much? We are blushing a bit here. We feel that if you promise something, you must deliver. We promise only what we can deliver and over-deliver on! Our packages have been created to be easy to understand. We have tried to cut out all the technical jargon and make it a joy to own Broadband. So many ISP’s hide behind their technical terms and never really tell you what the account you are paying your hard earned cash for is capable of. We are open, honest and transparent about each of our products. We also believe our Support is pretty darn good. We invest in only the top technical staff that love our customers as much as we love you. My question was not answered here, what can I do? How do I know that my account has been cancelled? You would receive a cancellation reference number; this number would then be used should you want to follow up on the progress of your cancellation. To Cancel your ADSL account and the associated debit order go here (www.openweb.co.za/cancellations) and fill in all the required details. As per Section 8 of Openwebs ‘terms’ we require one (1) calendar months’ notice. I have high latency (ping) on my line, why is this? High latency and packet loss is not caused by the Data account (OpenWeb account). Our network has not experienced latency or packet loss for a number of years now. Also, our shaping does not increase latency, ever. High latency and / or packet loss is almost always caused by a fault on the Telkom side, or the client hardware side. Kindly call Telkom on 10210 and have them further troubleshoot with you. I have been using OpenWeb for the last 8 years. I have my 14 x branches across South Africa using a variety of ADSL & VDSL products from the company. I would just like to say thank you for being such a superb partner over the years. Oh and the gift you sent me for my birthday was such a surprise! Guys, thank you so much for the help last week. Leon spent almost 3 hours on the phone with me trying to sort out my internet. Guess what, it was a fault on the router which we identified. I am so grateful for the wonderful service you provide. No company can match the level of care you have for your customers! Hey OW, remember when I emailed you last week about the Fibre trucks installing Fibre in my area? Well, it turns out that the truck was for me! My new Fibre line is up and running and I am sitting here watching a download peak at 99.8Mbps! To say I am happy is an understatement of note! Best wishes, your customer for life, Rowan.